I am moving a little slower these days while I wait for my surgery but I was able to finish two fun baby quilts last weekend. 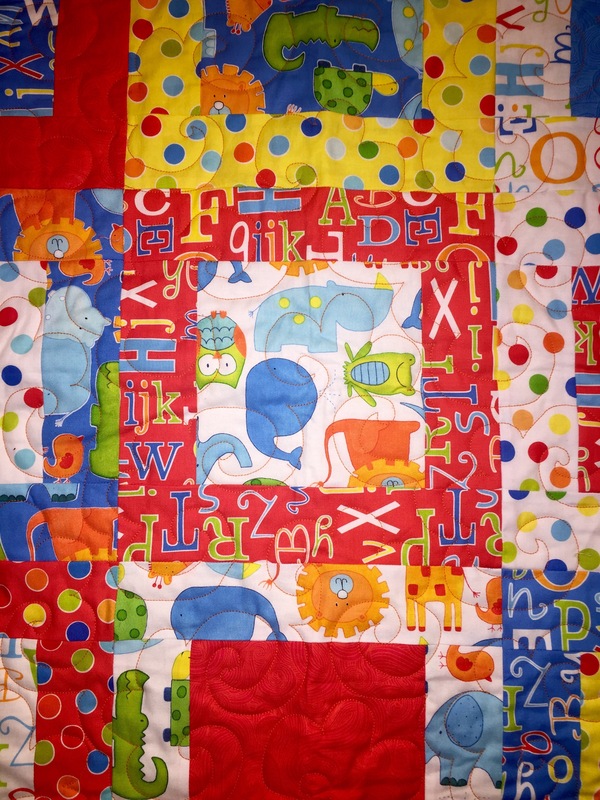 The fabric has fun safari animals, polka dots and an adorable alphabet print. I didn’t have a fabric in my stash that I loved for the border and then I realized that I had a lot of orange from this collection that actually pulled the quilt together. 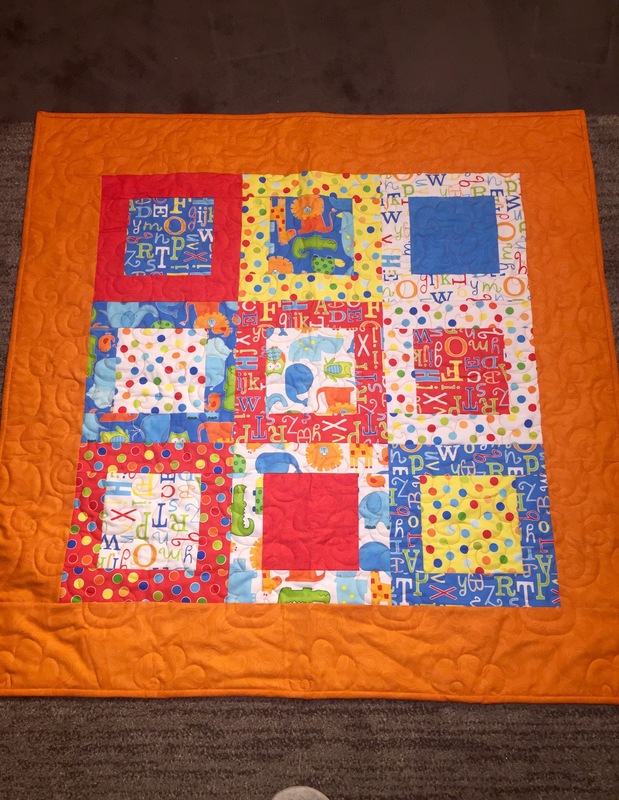 The quilting is a pantograph called “popcorning” that I did in an orange cotton. So cute. 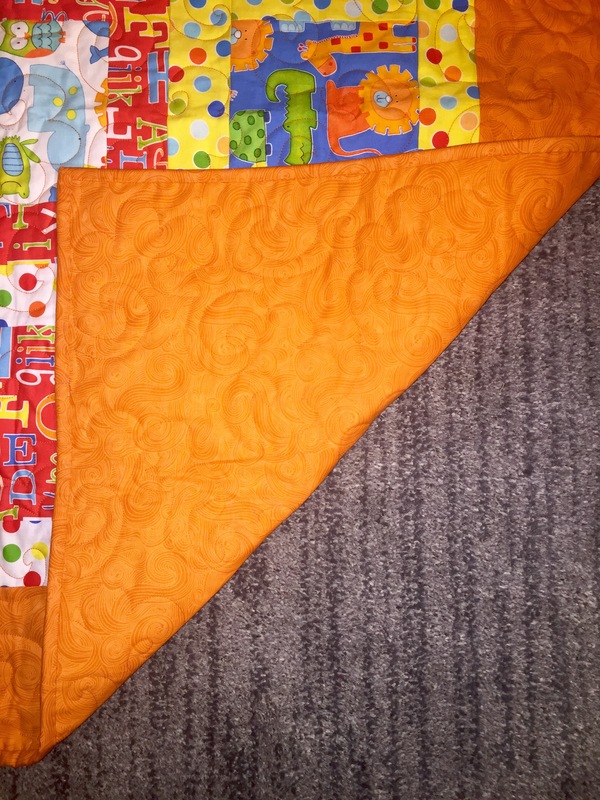 I originally bought the orange on sale to use as a backing so I used it for the back of these two quilts and the binding. 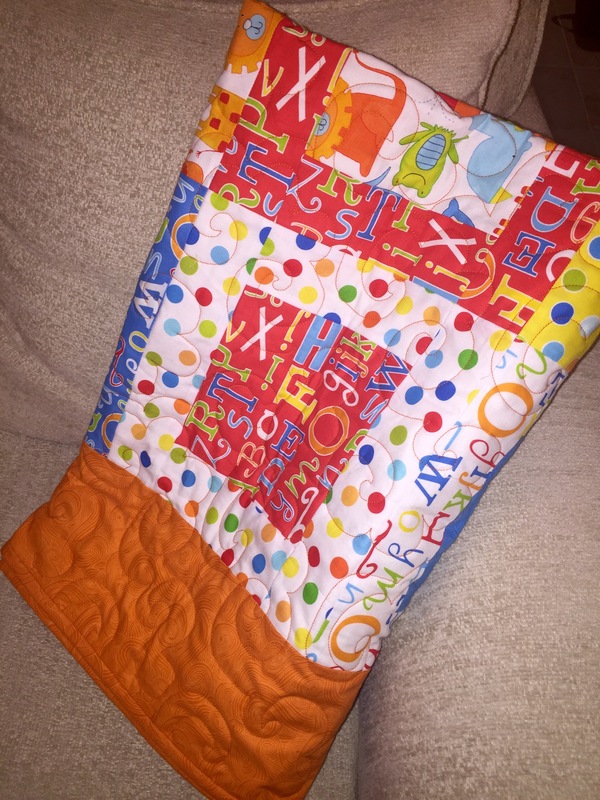 It is a lot of orange but hopefully it makes the quilts more suitable for a boy or girl. Now they are done. One is a gift and one is on my Etsy shop. On to the next project!